Kliem, L.; Tschersich, J. 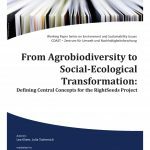 (2017): From Agrobiodiversity to Social-Ecological Transformation: Defining Central Concepts for the RightSeeds Project. In: COAST-Working Paper Series on Environment and Sustainability Issues, 1, Carl-von-Ossietzky University Oldenburg. 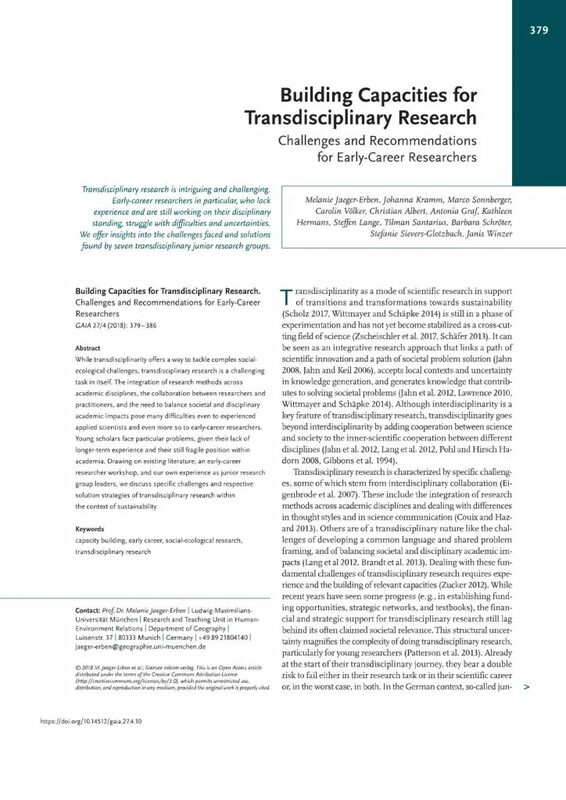 Ficiciyan, A., Loos, J., Sievers-Glotzbach, S., & Tscharntke, T. (2018). 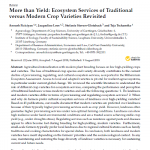 More than Yield: Ecosystem Services of Traditional versus Modern Crop Varieties Revisited. Sustainability, 10(8). Wolter, H.; Howard, N. P.; Ristel, M.; Sievers-Glotzbach, S.; Albach, D.C.; Sattler, I.; Siebenhüner, B. 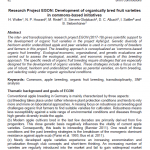 (2018): Research Project EGON: Development of organically bred fruit varieties in commons-based initiatives. In: Ecofruit. 18th International Conference on Organic-Fruit Growing: Proceedings, 19-21 Februar 2018, Hohenheim, Deutschland. S. 92-95. Fördergemeinschaft Ökologischer Obstbau e.V. (FÖKO). Sievers-Glotzbach, S. and H. Wolter (2018). 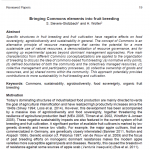 Bringing Commons elements into fruit breeding. In: Eco-fruit, J. Kienzle, S. Zikeli, C. P. W. Zebitz, Fördergemeinschaft Ökologischer Obstbau, & Universität Hohenheim (Eds.). 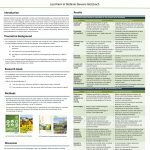 Eco-fruit: proceedings of the 18th International Conference on Organic Fruit-Growing, pp. 19–28.